Remember how I said this was going to be a relaxing winter break full of plenty of blogging time? Well, apparently I was wrong. I've somehow managed to keep extra busy these past couple of weeks, and while I'm having a great break, I'm a little sad that I haven't been able to devote much time to blogging. However, with the holidays over and my brother (who I've been spending most of my time with) on his way back to Arizona today, things are finally settling down. 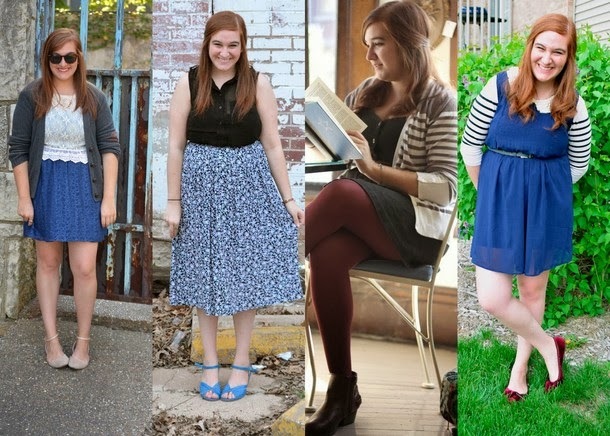 I'm almost positive I'll be able to take outfit photos today (something I genuinely miss), but until then, I figured it wouldn't hurt to look back on 2013 before it leaves us forever. 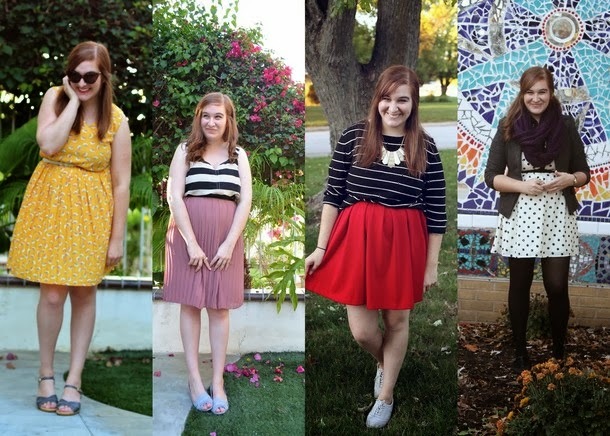 I've included some of my favorite outfits from the year (as you can see, I'm incredibly indecisive), and I also wanted to share some of my most exciting moments of the year. I feel like this blog can sometimes border on ridiculous/narcissistic, but who cares? It's a personal blog, and if good things happened for me this year, I don't see anything wrong with shouting it from the mountain tops. Unfortunately, I don't have any mountain tops to shout things from, so this old Internet thing will have to do. All in all, looking back, I made a lot of wonderful memories this year. I've never been a big one for sap, but I can honestly say that the best part of this year is just how much fun I've had with family and good friends. I really feel like I finally found the group of friends I wanted all throughout college this year, and I had the best time with all of them this year. Bleh. So much cheesiness. Kill me now. Seriously, though, I can't thank you all enough for all of the support I've gotten for this little blog of mine. I originally started Room 334 as a platform to jump start my career in fashion or journalism, and while I still hope it can help me in that aspect, it's become much more than that. Not only is it a creative outlet for my writing and a push to challenge myself with my personal style, but it's helped introduce me to the most amazing group of women around the world who I can now consider friends. I can't put into words how much I love the people I've met through blogging, and I can't wait to meet even more in 2014. Now enough with the corny thoughts, let's just have fun celebrating the start of the new year, shall we? It has been such a pleasure this year to get these daily peeks into your life through out the year, and so many good things have happened! (Plus, all those cute outfits!) 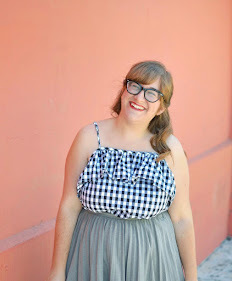 Reading your blog is always joy and one of my favorites to follow. So wonderful that you had so many amazing things happen to you this year! It's pretty awesome to find the right group of friends too :) But what... interviewed Bo Burnham?! Wut, you interviewed Bo Burnham?! That's seriously rad. It sounds like you had an amazing year! You've accomplished so much this year. So proud of you! 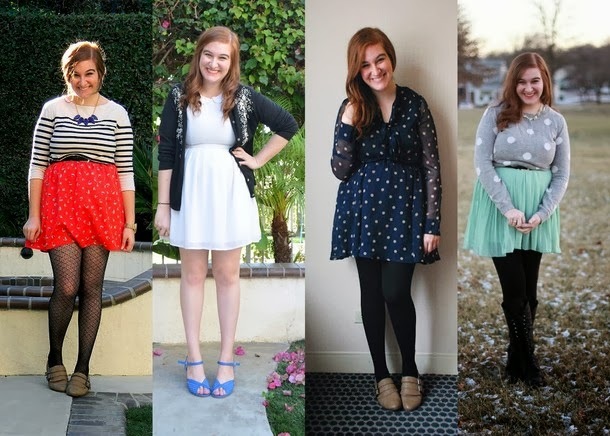 And I totally loved watching your style evolve and become "elana's style" this year. I'm sure glad you started this blog and that you kind of like us. Dang it, Chief. So sappy. So uncomfortable. Scoot yer stoat tote and Peter pan collars back to the Midwest so we can party like the second half of 2014 doesn't exist. I didn't think I would make any worthwhile friends in college (because Western is...Western, you know), but I would say that I've struck fashionable friendship gold. I found a friend who understands me and sometimes mistakes a person's house for a coffee shop. Roll tide, Chief, roll tide. 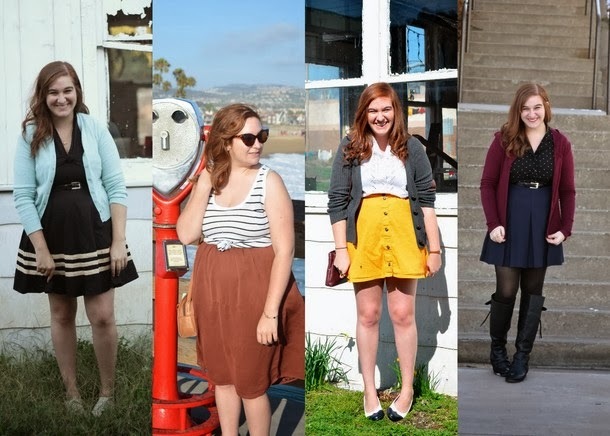 Girl, you have every right to brag about the awesome year you've had! It's been wonderful getting to hear about all of these moments throughout the year. 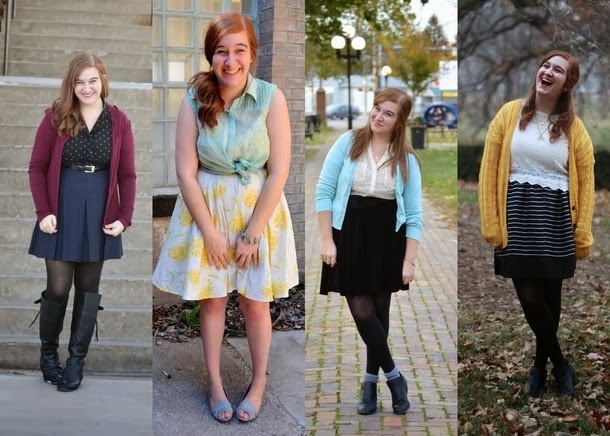 Also, your style has been so enjoyable to see! 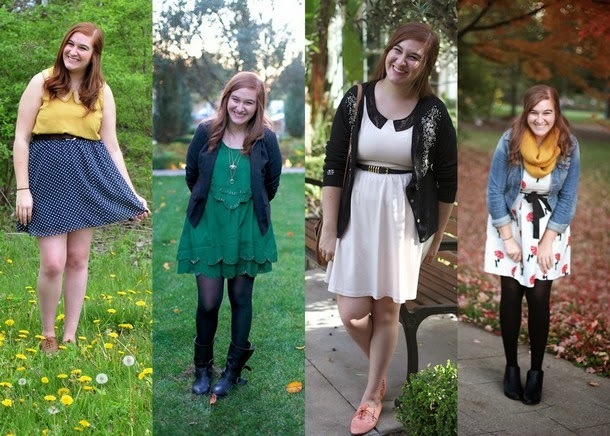 I love your outfits from this year girl, you're one of the layering masters in my opinion haha. Here's to an even better year to you and your family! You've accomplished SO much this year! Way to go!! 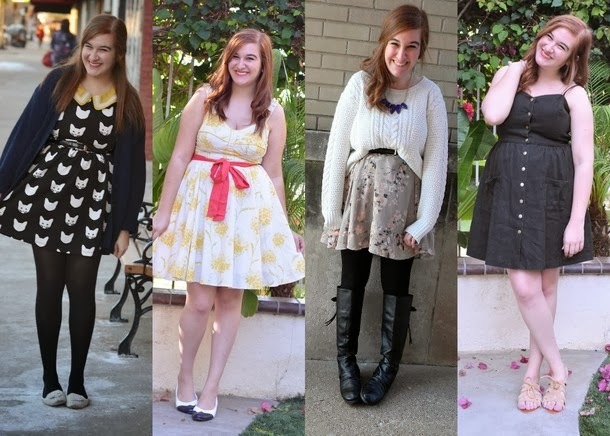 And each one of these looks is so stylish and so perfectly you! Aw you're so cute! I love recap posts like this. 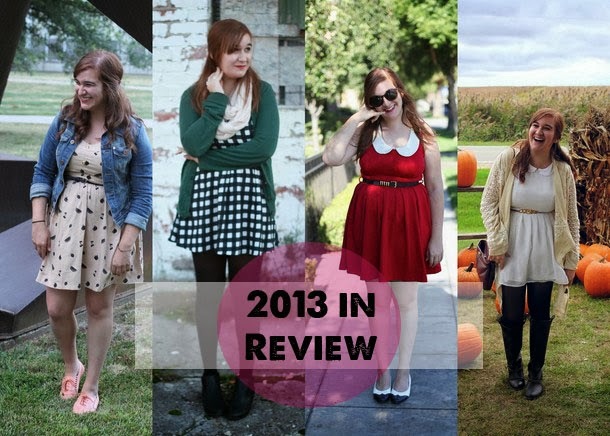 You had a ton of adorable outfits this year. It also sounds like you did a lot of great things and made a ton of memories with new friends. I hope next year is even better for you. Happy new year! I'm impressed, I need to say. Really rarely do I encounter a weblog that's both educative and entertaining, and let me let you know, you have got hit the nail on the head. Your idea is excellent; the problem is one thing that not enough people are talking intelligently about. Im very happy that I stumbled across this in my seek for something referring to this. What an eventful year you had! "The Golden Age of television"-- is this a real thing? Because it totally sounds like a real thing. Except tv (at least for me) is totally online now. I watch WAY too many shows, thanks to the convenience of the internet. Also, have you found that spam control on blogger lately has been ridiculous?? They're getting more sophisticated I think. Like the person above my comment. Pretty sure that's totally fake. The scary part is that real bloggers are leaving these weird comments, like they've been hacked! My latest giveaway post, I got like 6 people (one of whom I know is a real blogger) talking about what outfits they like to wear in June. That had nothing to do with my post but it had me double and triple check my post to make sure I wasn't crazy, because they were that good! Anyway, I wish you an equally productive, happy, and stylish new year, Elana! yay for blogger support! and thanks for not thinking i'm a total weirdo by some of my early very rambly comments. hope i can meet you someday too. oh, and i LOVED your remix of fav outfits, so many cute ones!